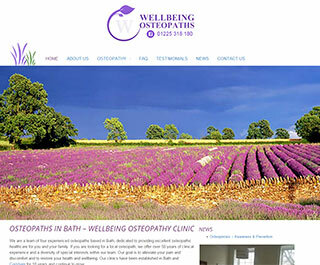 Web Design Bath - The Bath Business Web Approach! 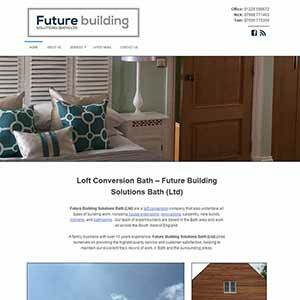 Bath Business Web have been building professional web-sites for local companies around the Bath, Wiltshire, Somerset and Bristol area for the past 10 years, building impressive, usable Designs - and targeting organic search results on search engines such as Google Bing and Yahoo, allowing us through our proven skills through coding, development, design and search engine optimisation to be recognised as one of the few companies in the South West can prove hundreds of natural (organic) front page results for our successful clients over the past 10 years. N.B: We always strive for for natural results(non paying) as opposed to pay per click. Responsive Web Design - a desktop, tablet and mobile paradigm All of the web-sites that we build are responsive - which means they change the Design layout according to the device and resolution you are viewing from. This Design methodology makes your web-site more usable. Optimised web-sites - Search Engine Optimisation We pride ourselves on web-sites that are not only look and feel great, but they are built in a way that search engines and humans alike can read. When it comes to SEO though, we don't just optimise your web-site, we feel that its important to understand what your company is actually doing, and what key words/phrases would best suit your company and research the amount of relevant searches and competition - creating a SEO plan and goals before building the site. Selling online is becoming more and more common, and we provide a service which allows you to sell online in a safe and secure environment, and without breaking the bank. Our goal when creating an E-commerce site is to build a site with an identity - that is clean and easy to read, and installs confidence in the user to make a purchase. Training We will provide you with an easy to understand - and fully documented training package, you can pop into the office and sit down with your Designer, who will explain what you can edit, and how to edit. Our help and support is always here for you, and It goes without saying, if you get stuck we are only a phone call away . Track your web-site Your web-site will be tracked using Google analytic's - a tracking tool provided by Google, we can set up so it sends you reports monthly - or if you are competent we can add you to the system so you can view the report any time you wish. The benefit with analytic's is that we can break it down to show you not just how many people have viewed your web-site, but we can also see how long they are staying for, where they have viewed the web-site, which devices - and so many other great features.